Static aircraft photography at air shows can be tough with all the spectators milling about. There are some down and dirty tricks to getting great shots even with boat loads of people all around, give them a try! Get in low and shoot high. Front shots close in from the center of the prop will usually be above anyone's head. Get in close. Shoot at minimum focusing distances and "find the picture, within the picture". 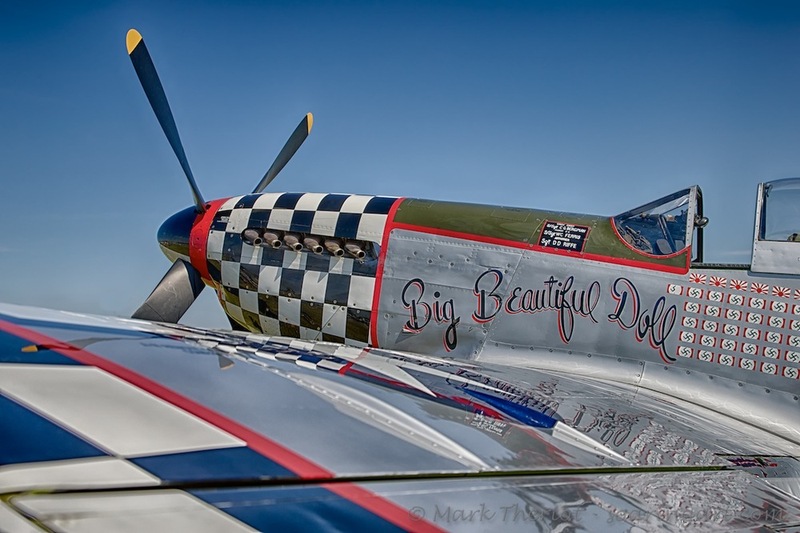 Badges, engines and nose art all provide great subjects. Get just behind the wing and shoot the wing and into the fuselage (like the shot above) - paying attention to only get aircraft and sky. This is a great shot that guarantees you no spectators will be in the way.